The former boss of Colombia’s ranchers’ federation was sentenced to nine years in prison on Thursday for his leading role in a bloody paramilitary offensive that displaced millions. 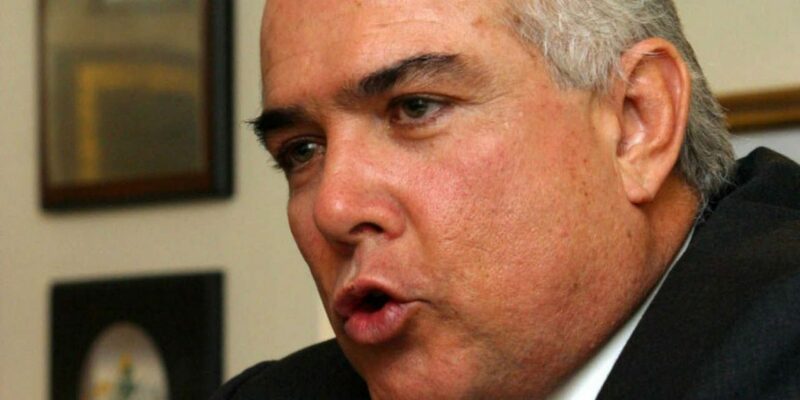 Business leader, former senator and former ambassador Jorge Visbal teamed up with the leadership of paramilitary umbrella organization AUC between 1998 and 2005 when he was the director of Fedegan, the country’s federation of cattle ranchers. According to the court, the powerful businessman “held constant meetings” with the AUC leadership. Visbal secured financing for the groups that provided security to Fedegan members, and went on a major territorial offensive that displaced millions of Colombians, many of whom are unable to return home. Many of these opponents to land restitution are cattle ranchers who claim to have bought the land properties “in good faith,” according to an investigation by NGO Corporacion Nuevo Arco Iris. Between 1995 and 2010, 15% of Colombia’s territory was abandoned, leaving more than 7.5 million displaced. Despite investigations into his alleged criminal activity, former President Alvaro Uribe appointed Visbal ambassador to Canada in 2004. President Juan Manuel Santos appointed him ambassador to Peru in 2010. He was forced to resign in 2011 after he was charged over his intimate ties to the paramilitary death squads.